Murphy Gonzalez | Oh No! Not Another NYC Food Blog! This is what happens when an Irish pub and Mexican restaurant meet and have a baby. Near NYU. My DH had the Burger with Bacon & Swiss on an English Muffin – Overcooked but still juicy and flavorful with really good bacon. Decent fries that were a potato not long ago. 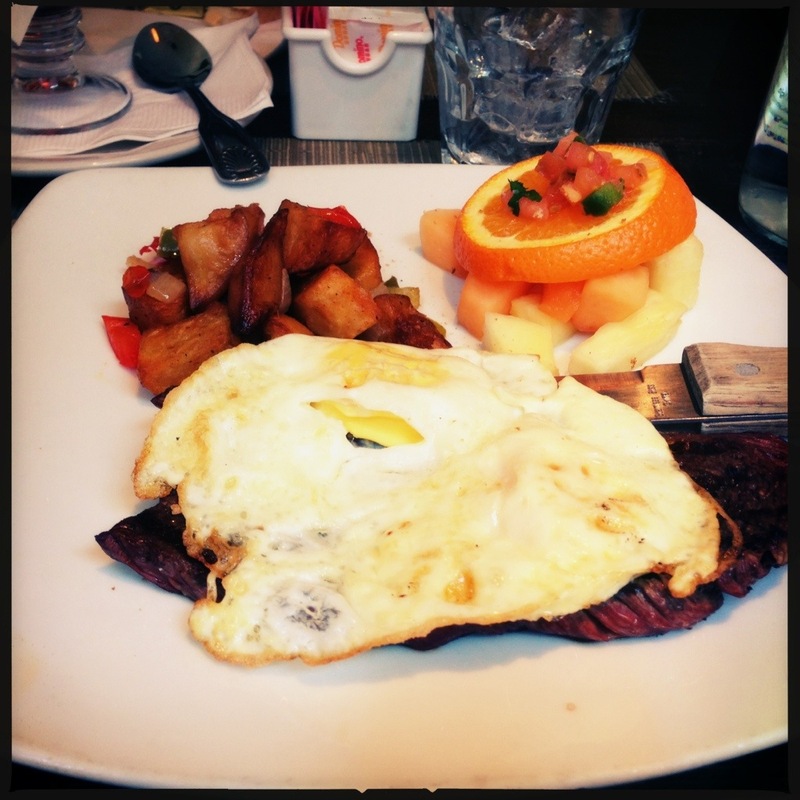 I had the Steak & Eggs – Overcooked but flavorful and tender. Eggs were overcooked as well, but still tasty. Potato side was decent; surprise fruit side was great. More Irish pub than Mexican restaurant. 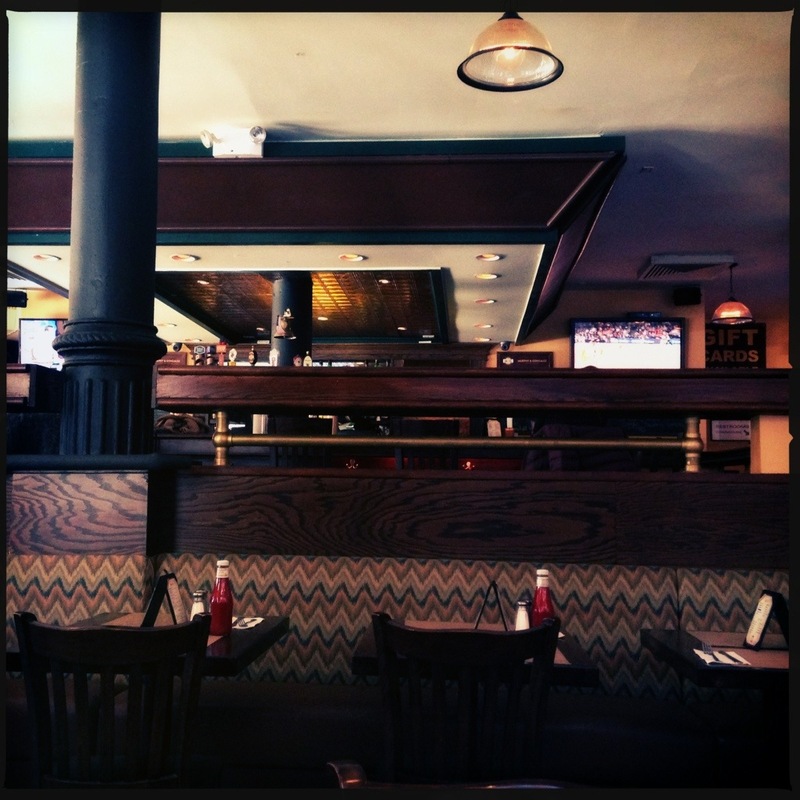 Sports on the flat screens, open and spacious dining area. Friendly service – appropriately attentive for Sunday brunch. An interesting mix prepared with enough skill that its all not just drunk food. 3.75 out of 5 for good standard food with enough promise that we may come back for Mexican fare.